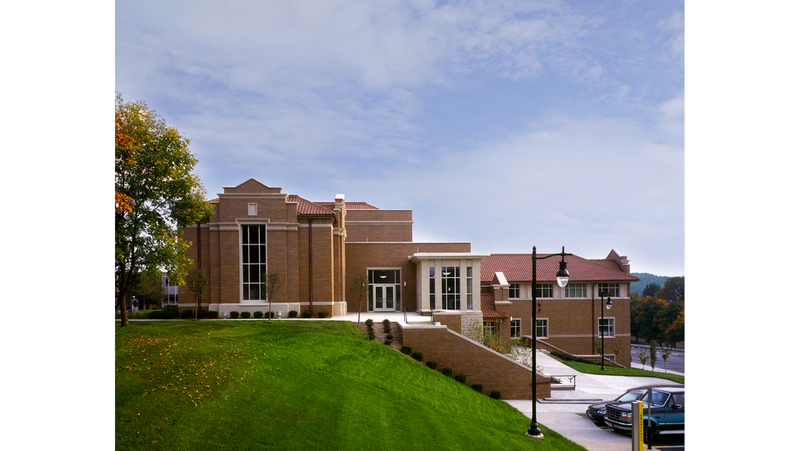 Caldwell Hall is the one of three buildings Bialosky Cleveland has implemented on Muskingum University’s campus. 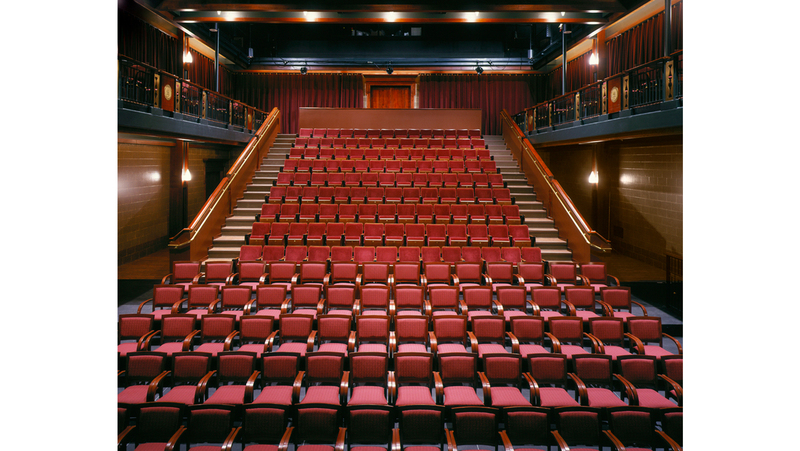 The building houses the theater and communications departments and includes a state of the art 250-seat flexible theater and television and radio studios. 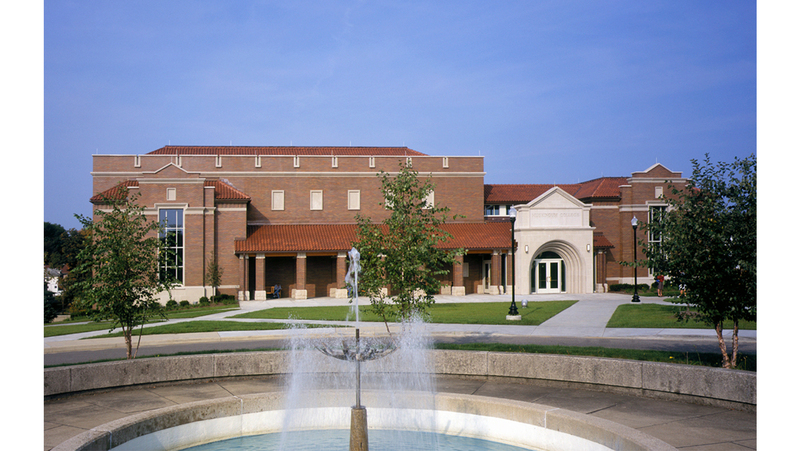 Caldwell Hall is the one of three buildings Bialosky Cleveland has implemented on Muskingum University’s campus. 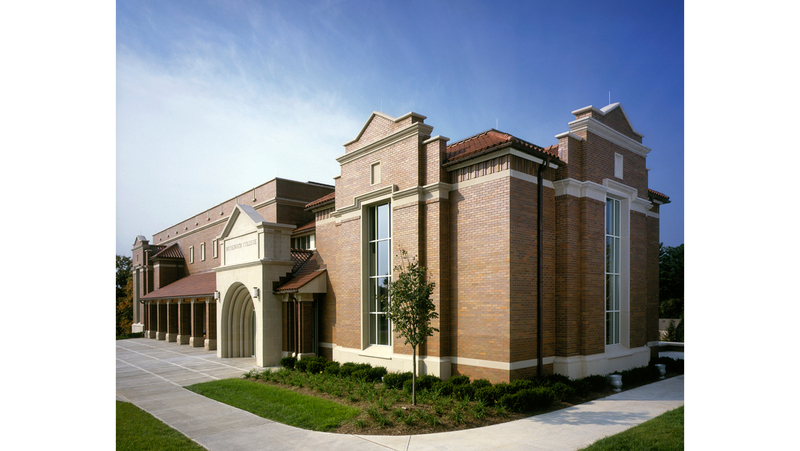 The building houses the theater and communications departments and includes a state of the art 250-seat flexible theater and television and radio studios. (There was an extensive programming effort, which included separate meetings with groups of faculty, staff, and students.) The building program of approximately 32,000 square feet includes theater support spaces such as a rehearsal room, which doubles as a performance space; faculty offices, dressing rooms, set shop, costume design classroom, theater design classroom, and control booths. 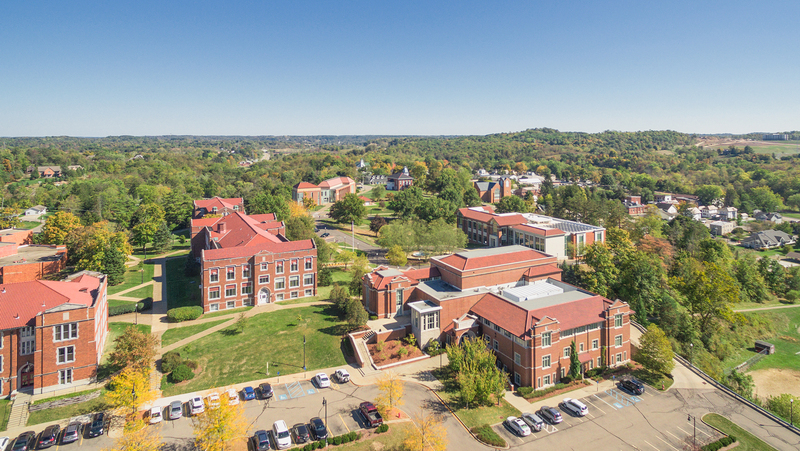 The building site is at the front door of the campus and was used to create, with Montgomery Hall and the Library, a new quadrangle to strengthen the campus’ appeal to prospective students, visitors, theatergoers, and Alumni. The site rolls down a four-story drop in grade to the west. The variations in grade were incorporated into the building design by the creation of entrances and lobbies on multiple levels, providing ample space for displays of student and faculty artworks. 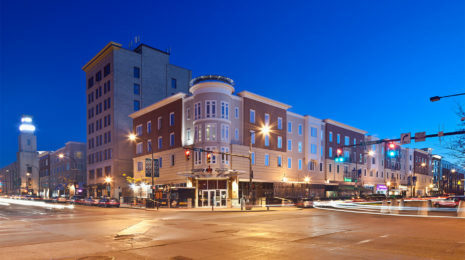 The architecture of the building carefully fits in with the character of the adjacent 80+ year-old Montgomery and Cambridge Halls while at the same time being a building of the 21st Century, with 21st Century technologies. 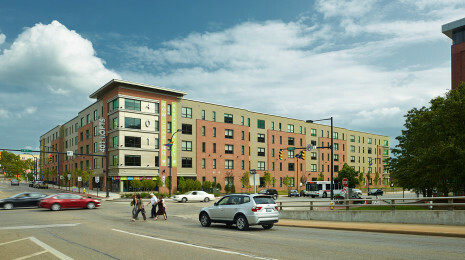 The project also includes a 300-car terraced and landscaped parking lot to provide ample parking for theater events and to improve parking for the campus as a whole.